Hey Everyone! Here is the perfect look for going out. Hope you enjoy and try it out. Hey Everyone! So I was shopping at Ulta the other week and I was looking for the Anastasia Beverly Hills Contour Kit because I have been fawning over it for quite some time now and I am so glad I was able to finally get it! It is like the best thing on the planet! So when I went shopping the first time they didn’t have it and I had like freaked out. I had to wait another week for their new shipment to come in because you know who wants to pay shipping right. But having to wait this long was killing me to the point I almost did buy it online. So I went again and had to have one of the employees put it on hold for me because it was their last one. I was so excited to try it out and play with it. Sorry I’m totally getting side tract. So to start with the review I absolutely LOVE it. The shades are amazing and super pigmented. I have found them each really easy to blend which makes them ideal for when you are in a hurry. They are deal for any skin tone because the palette itself has a shade with a cool blue tone and another with more warmer tones. And because it is a palette it gives you a variety of shades so you can pick the one that will go with your look the best. I also believe that it is a great deal for the price you pay. It is a little on the expensive side but it is so worth every penny. If you are looking for some more contour shades or even a bronzer or two to add to your collection, this is the way to go!. I am so glad this is now part of my collection now! Hey Everyone, hope your day has been going great! I created this tutorial because spring had just started and I had found this combination when I was on vacation over spring break and thought I would share it with you all. Hope you enjoy and try it out! So I recently went shopping at Ulta and I decided to pick up her brow powder to see what all of the hype was about.And let me tell you that is is the best thing that has ever happened to me. This product is so amazing! It come with two shades which i use the lighter one for the front of my brow and the darker shade to fill in the rest of my brow. 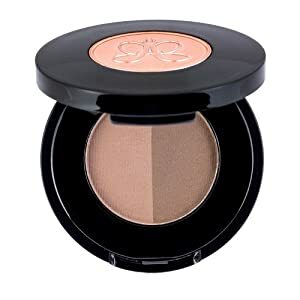 The product is vary pigmented and super easy to blend. I was so amazed with the amount of shades she had created and the packaging was so unbelievably gorgeous. I wanted to try something new because my old color was running out and I am so so glad I did. This is something everyone needs to have in their life. So if you are hunting for a new shade or product, this is the way to go! Hey Everyone hope you are all doing great. Here is a tutorial on how to achieve a flawless complexion. Hope you Enjoy and Try it out!